In November 1942, one of the largest radio transmitters in the world went into operation at Kingstanding on the Ashdown Forest in East Sussex. 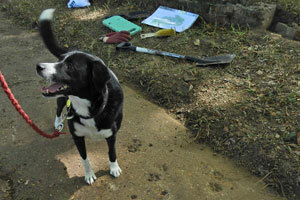 Documents and fieldwork reveal a new historical angle. The story of 'Aspidistra' and its role in black propaganda is well known, but I've recently been researching an as yet forgotten aspect - the actual protection of the establishment from enemy action. I briefly covered the activities of Sefton Delmer in my Writers and Artists series; the transmitter was powerful enough to drown out German domestic radio and deliver ingenious propaganda into German homes, U-boats and to the Wehrmacht. Another use was to inject confusion into the German nightfighter control system, hampering its efforts to counter the Allied bomber offensive. Given this activity, Aspidistra was seen as a potential target for enemy action. 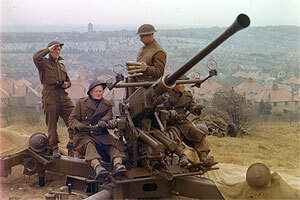 There were essentially two threats; that of air raids and from ground attack by commandos/saboteurs. 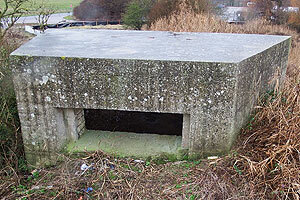 Although the original Aspi1 transmitter was housed in an underground tunnel, there were a few buildings above ground and therefore vulnerable to air attack. Given the deceptive nature of the transmissions, it is quite apt that deception be employed to protect the site. One means of drawing attention away from the installation was by constructing a decoy installation elsewhere in the forest, although I've yet to establish exactly where this was. 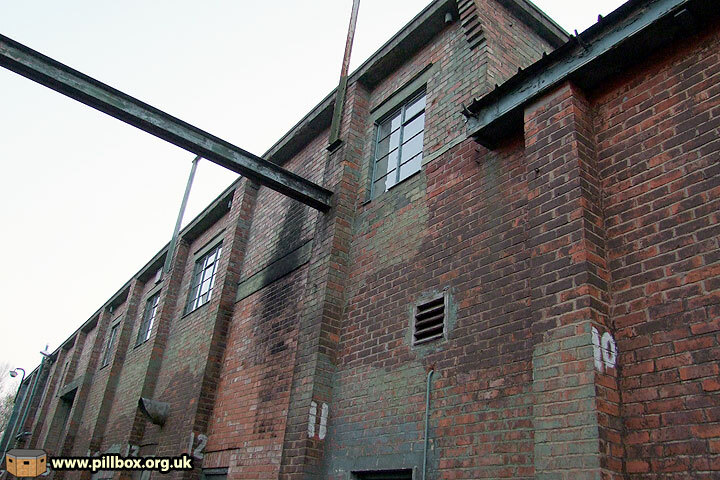 Other methods of passive air defence can be seen around the Aspidistra site; the photo below shows a building known as the 'Barn'. Although it shows evidence of camouflage paint, this is not wartime. It actually dates to the 1950's when the Barn was extended upwards and the Conservators of Ashdown Forest requested camouflage to minimise the visual impact on the environment! The photo below is another view of the barn; the upper storey is the post-war extension. The object ringed above (and shown at right) is, I'm reliably informed, evidence of the actual wartime camouflage scheme for the building. This winch apparatus was used to tension off camouflage nets that were stretched over the Barn to break up its shape and shadow from aerial observation. In the event, no known aerial action was ever taken against Aspidistra. The only reference I've found to anything closely resembling Luftwaffe activity is in the war diary of a unit tasked with defending the site against ground attack, which states that a solitary Dornier bomber was seen nearby. 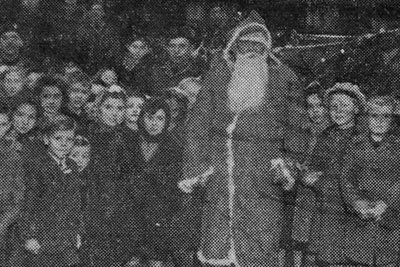 No date or further details are given. 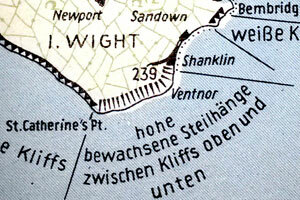 Although there appear to be five V1 flight paths within half a mile either side of the site, Aspidistra was not affected by the flying bomb campaign. 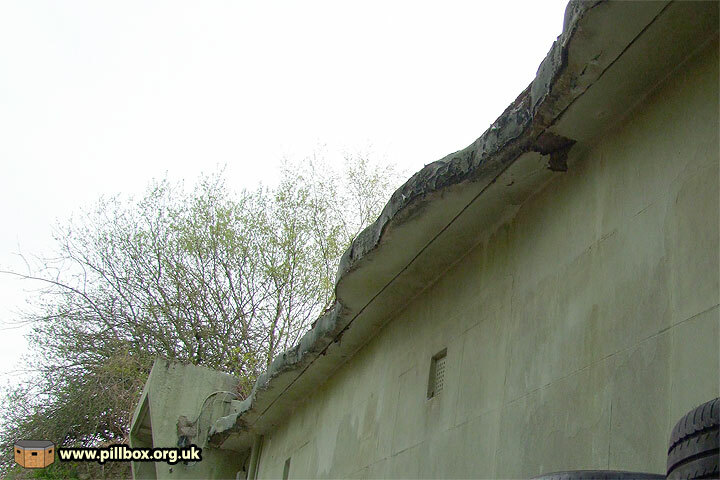 One final piece of evidence is seen on the roof edges as shown below; the wavy form was a deliberate attempt to make the buildings less conspicuous from the air by breaking up what would otherwise have been straight edges. The Aspidistra site was designated as a Vulnerable Point (VP), ie, it was considered as a potential target for sabotage or destruction. VPs were graded A-D, with Grade 'A' VPs those, the loss of which, would be disastrous to the course of the whole war. Aspidistra's Grade 'C' listing meant that its destruction would have a "serious, but not disastrous, effect upon production or upon the conduct of future operations." Carried out by a small party of determined men, who might either be already in the country or else have been landed by sea or dropped by parachute several days beforehand. Such a party would be prepared to use whatever force might be necessary to achieve their object of causing major damage to the installation or establishment, or a vital part thereof. Protection against 'Armed Sabotage' required a guard complement large enough to protect the vital parts (wartime emphasis) of the installation. Our undated list gives Aspidistra's garrison as 34 (crossed out and amended by hand to 27) men of the Corps of Military Police, known as CMP(VP). The important thing is the requirement quoted above; although patrols of the perimeter would have been mandatory, the CMP(VP) would not be trying to militarily defend the entire perimeter - only protect the vital areas of the site. 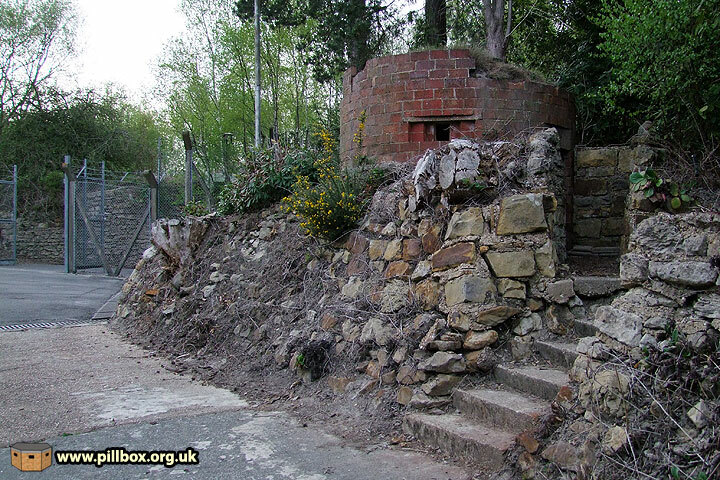 To this end two pillboxes were constructed; only one survives to this day. The location of the removed one is not known, but the surviving one tells us a lot. 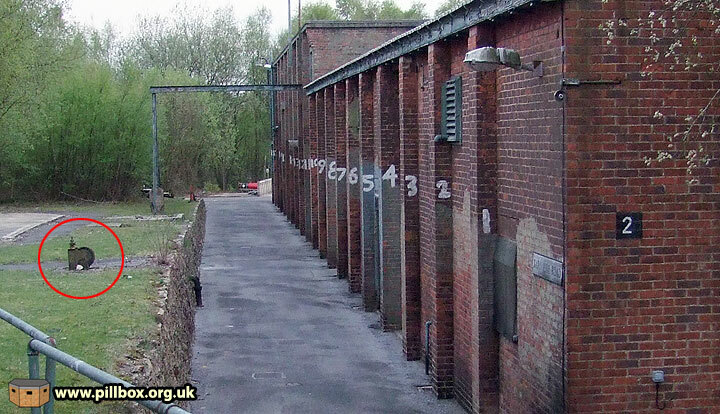 I took the photo below from the roof of No.1 Power House showing the circular pillbox at bottom right. The buildings at left are post-war. 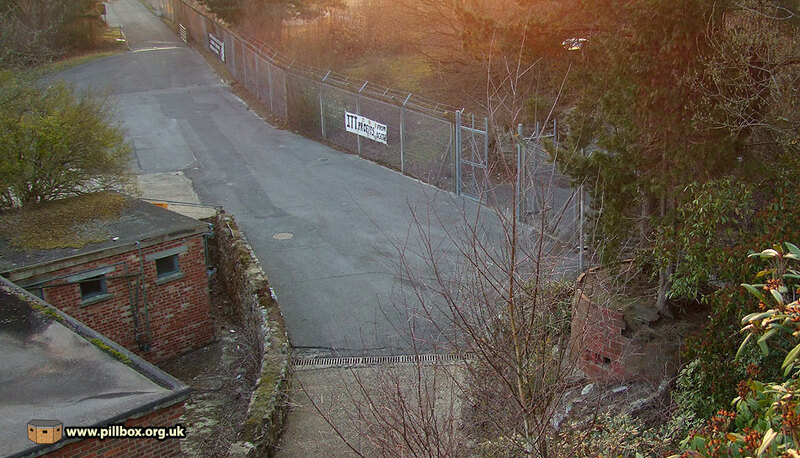 Note how the pillbox can cover the approach road from the main gate, the Power House and the entrance to the transmitter tunnel (gate at right) - in effect, it's simply covering the most important areas of the site, which is why it's stationed in the heart of the establishment, not the perimeter. The photo below shows the rather fine steps up to the entrance. 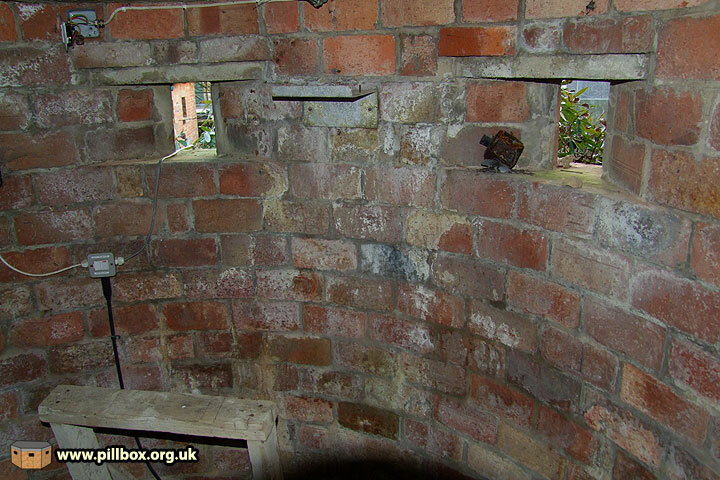 The pillbox is circular and has been shuttered using brick on edge, which is highly unusual. There are four embrasures, but they are not evenly spaced around the wall - each has been situated with a specific task in mind. Of the two in the photo below, the left one can cover the approach road while the right overlooks the transmitter tunnel entrance. To the left (out of shot) is a loophole to cover the entrance to the Power House, and the final one off to the right covers an approach road from the opposite direction. 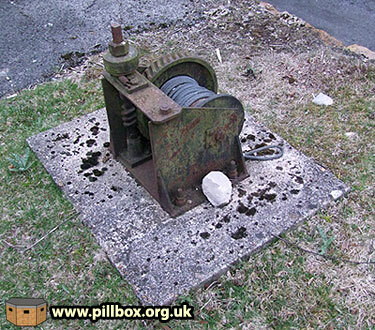 Knowing the status of Aspidistra as a Vulnerable Point has given us enough information about the siting of this pillbox. I don't know where the other pillbox was and my friend, archaeologist Ron Martin, (who surveyed the site and produced the most amazing drawings of it) doesn't know either. However, the next time I visit Aspidistra, I'm going to look at the site differently and see if I can glean anything from the landscape. We've looked at the defence of Aspidistra from aerial attack and established the strength of the CMP (VP) garrison. 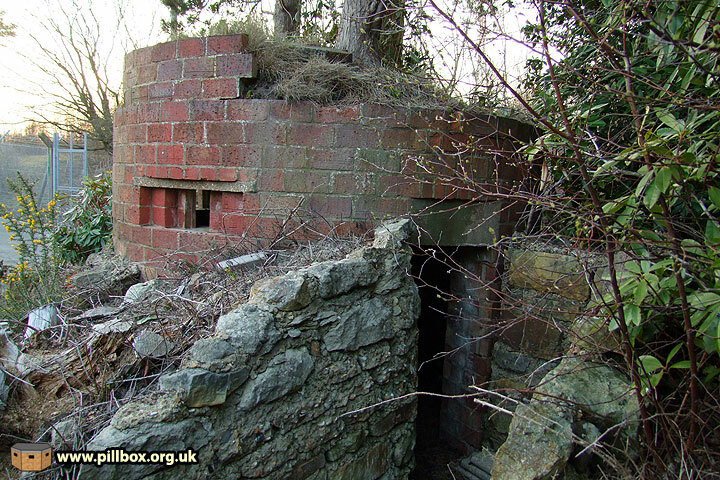 We've also interpreted the location of a pillbox for military defence from ground attack, but we've only looked within the perimeter of the Aspidistra site. There was a lot going on outside the fence, and we'll look at this in part 2.